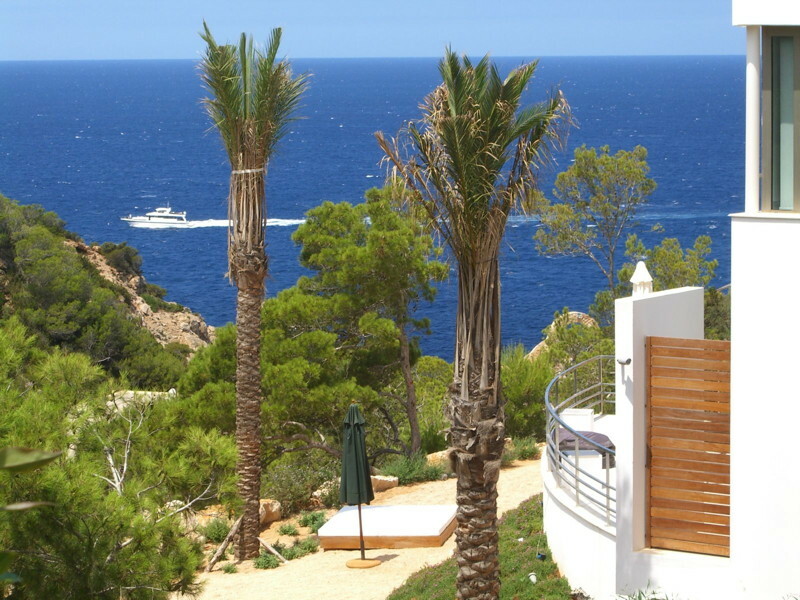 This newly built three bedroom villa on a private development is just a short drive from the beaches of Cala Vedella and Cala Carbo and benefits from lovely sea views and as it is on the west coast of the island the house gets wonderful sunsets. 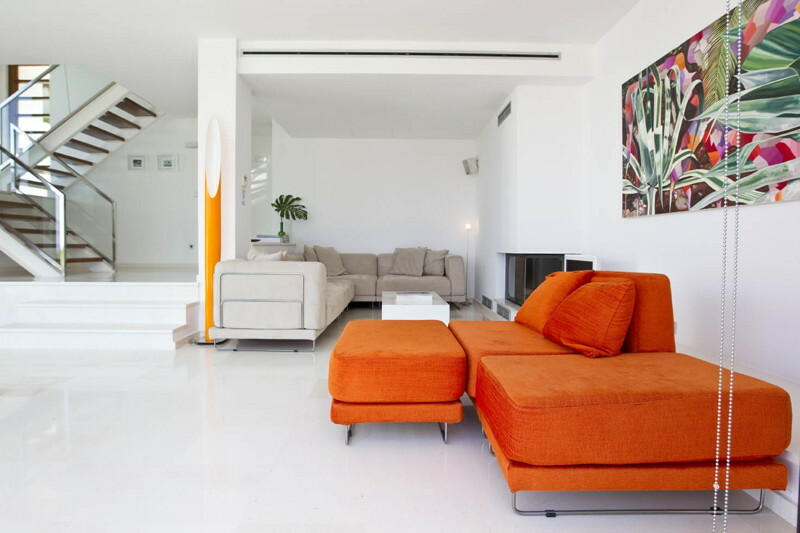 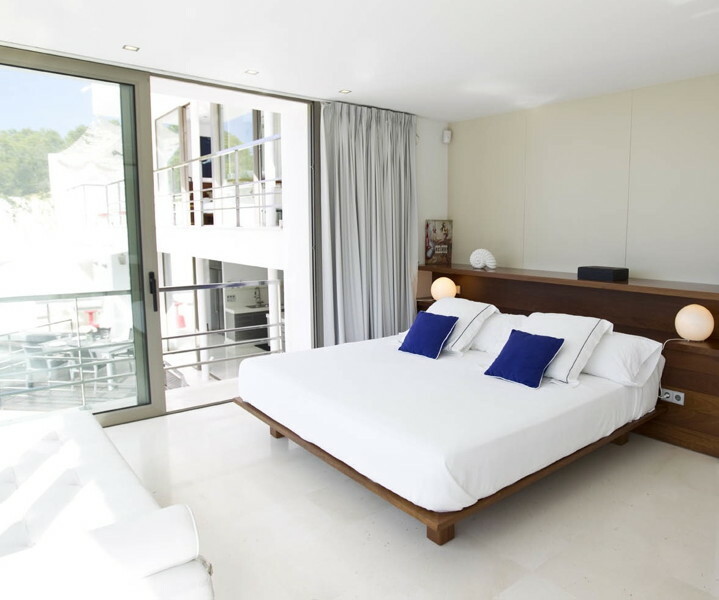 The villa is very contemporary and has a distinctly minimalist feel although it is furnished and equipped to the very highest standards with full air conditioning, satellite TV, WiFi and an iPod dock. 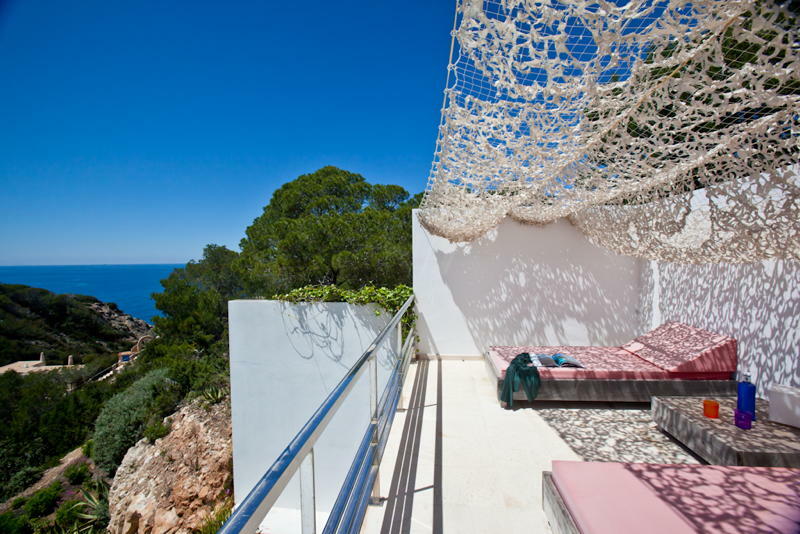 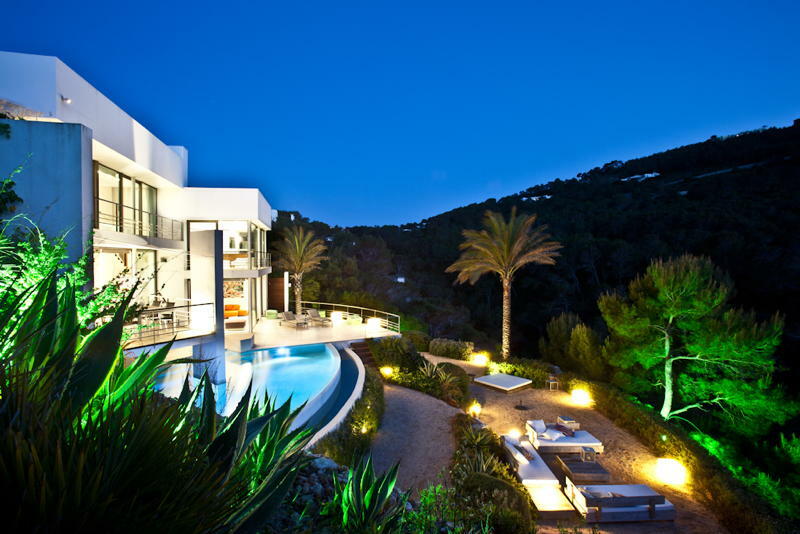 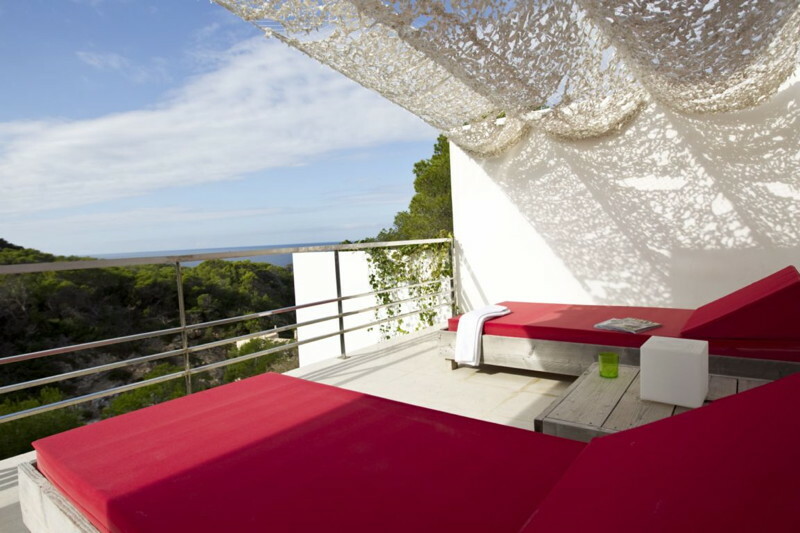 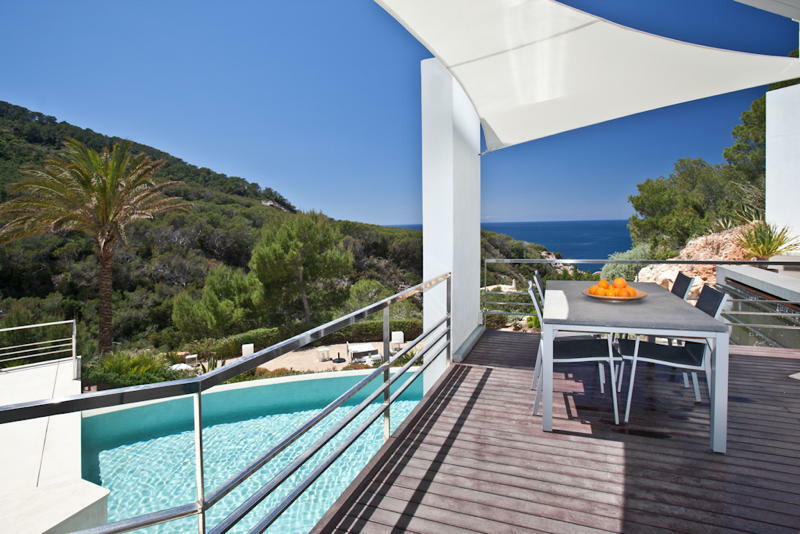 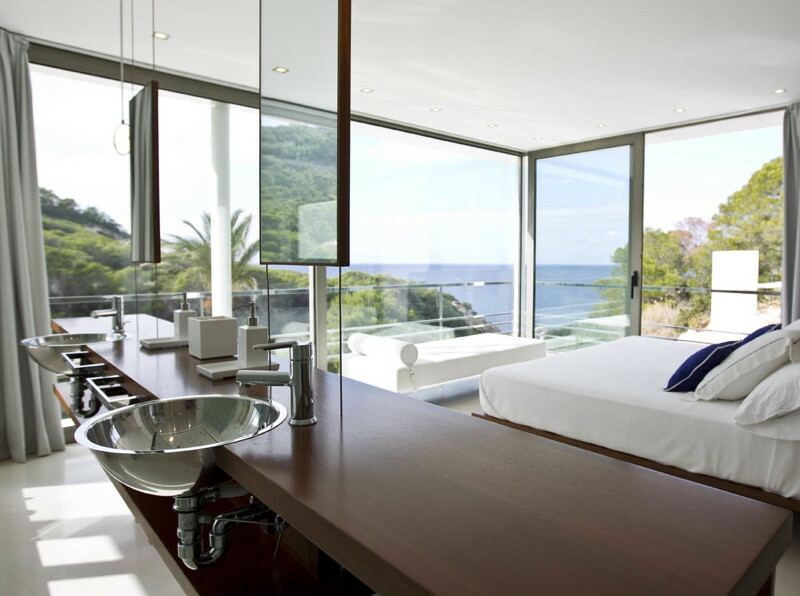 The villa has three bedrooms with three bathrooms en suite and each bedroom has a terrace with sea views. 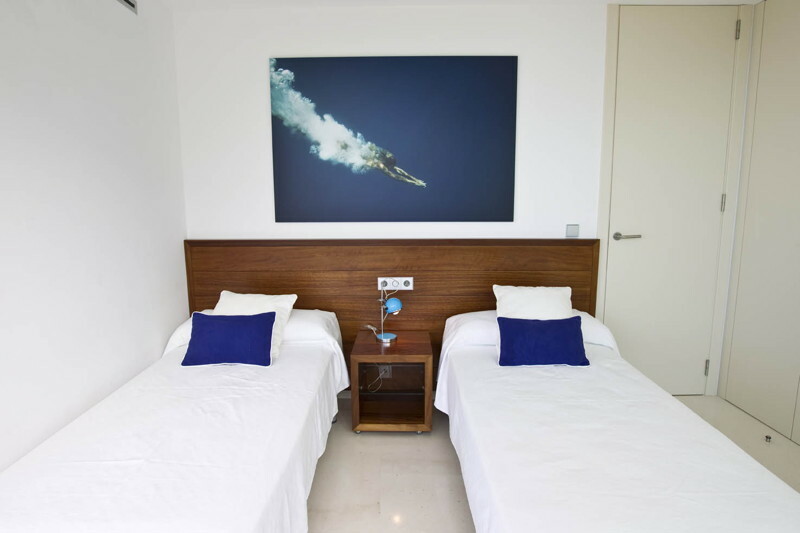 Each bedroom has a safe and plenty of wardrobe space. 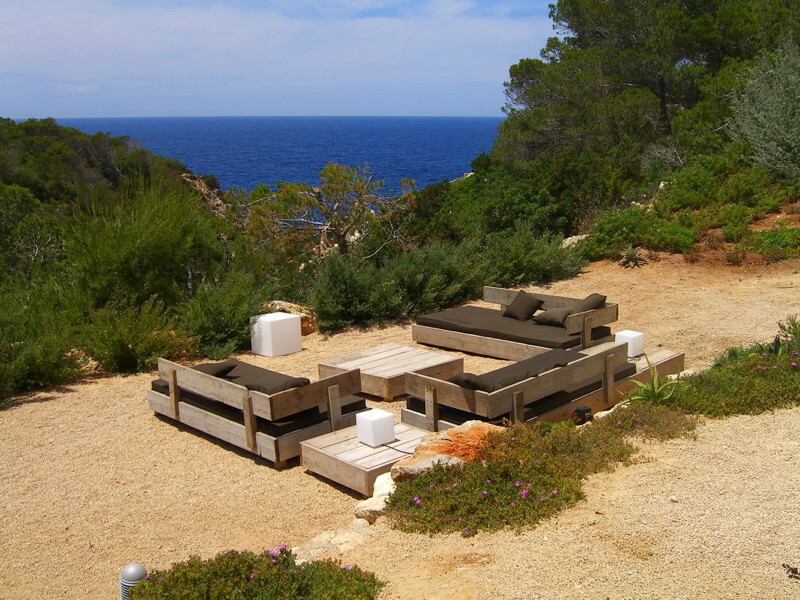 The outdoor areas are built on terraces around the striking architecture of the villa. 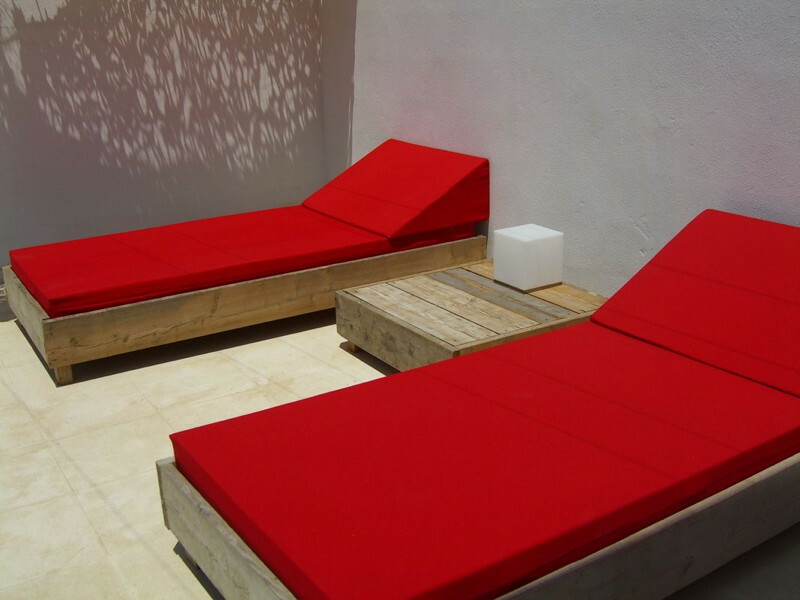 At ground floor level is a BBQ area with a small bar and outdoor dining area with a white sail canopy providing shade. 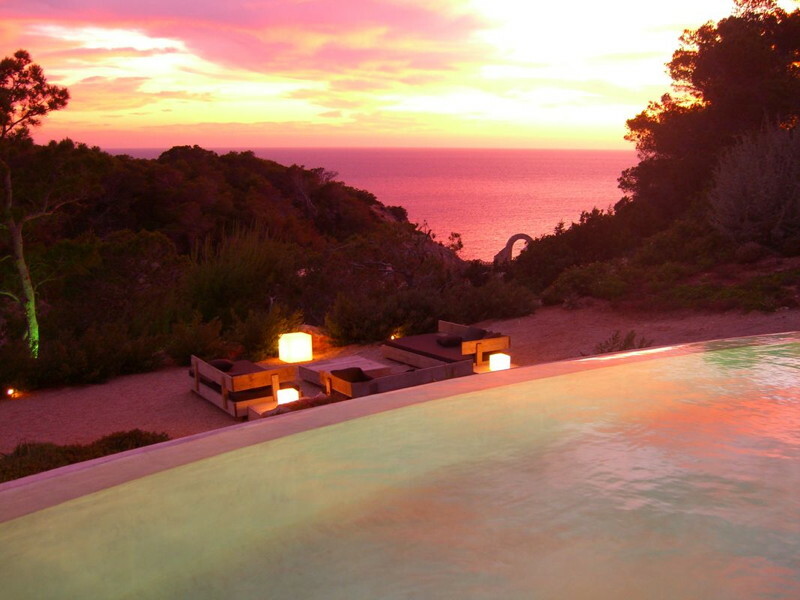 On the lower terrace there is a saline infinity pool with a waterfall feature, a pool shower and an outdoor music system. 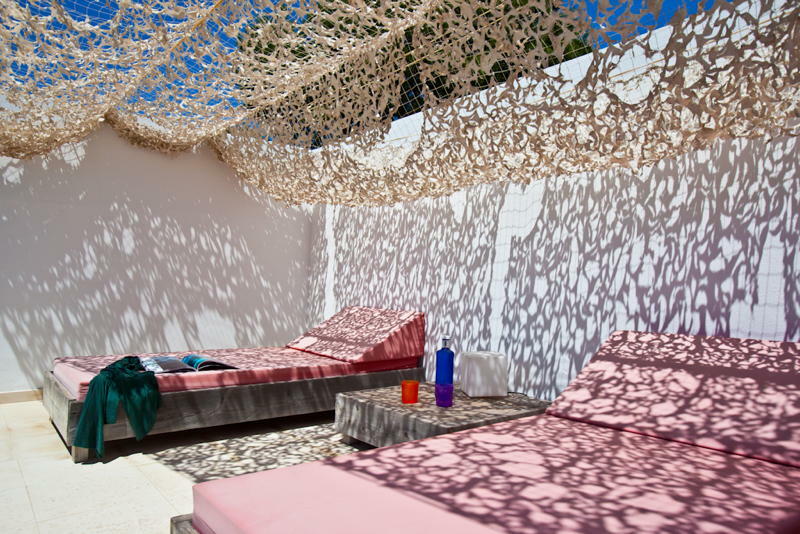 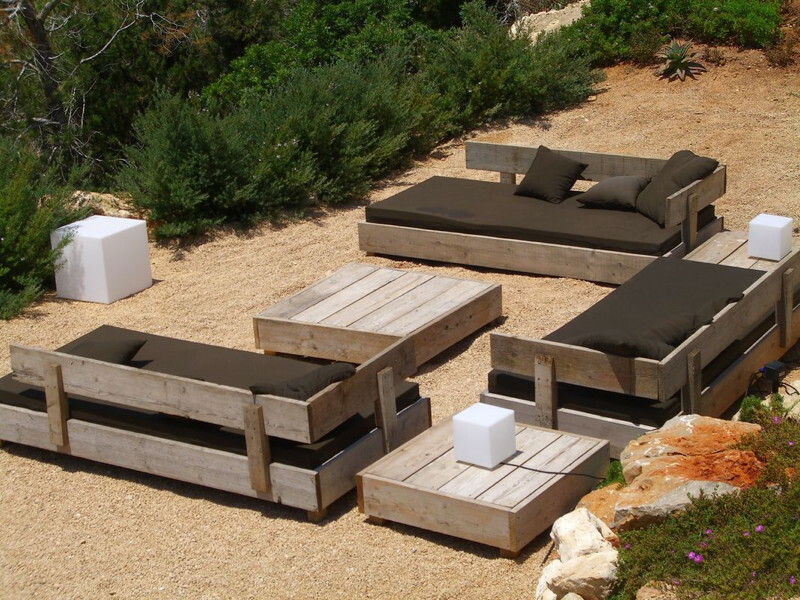 Around the pool are sunbeds and parasols and a little further down the garden is a relaxation area with large day bed. 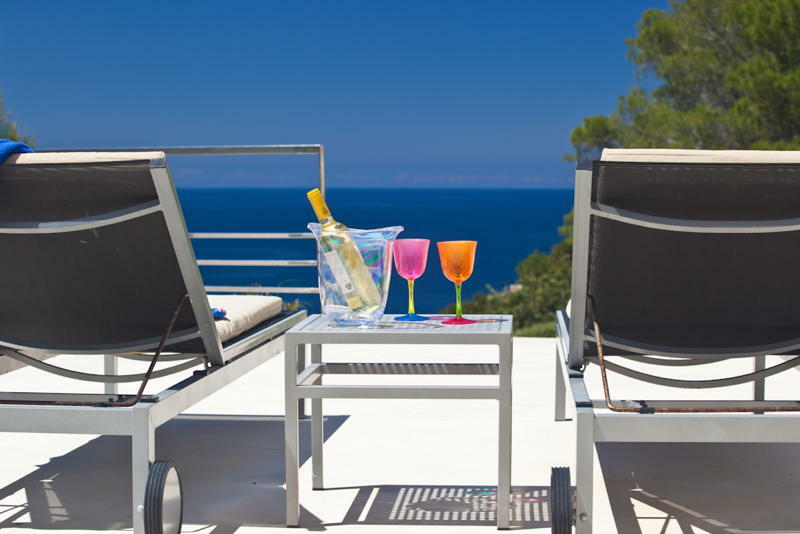 All of these terraces benefit from lovely sea views. 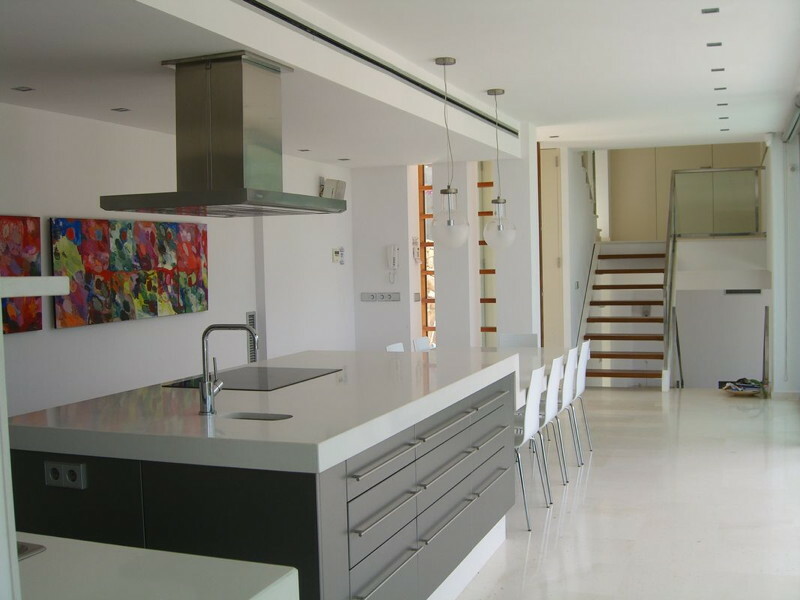 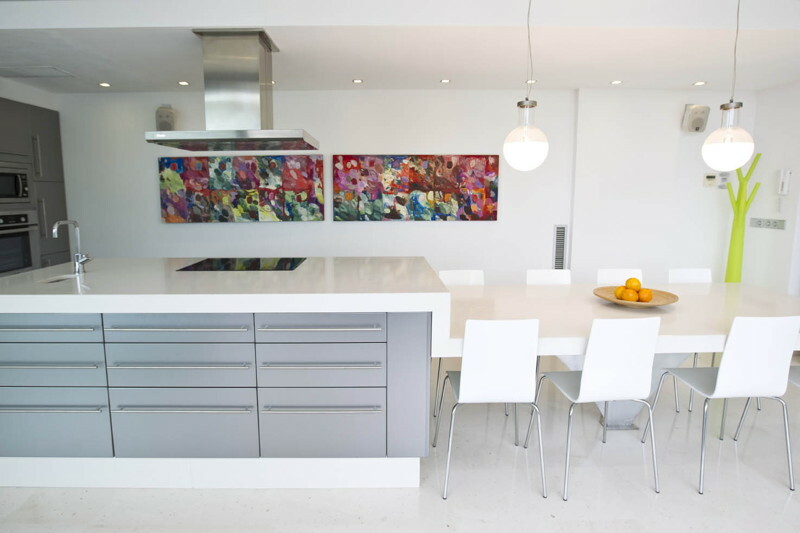 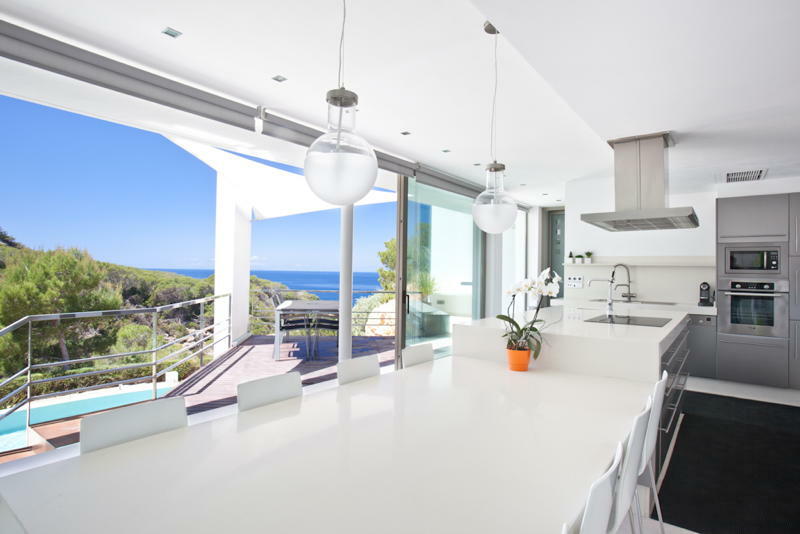 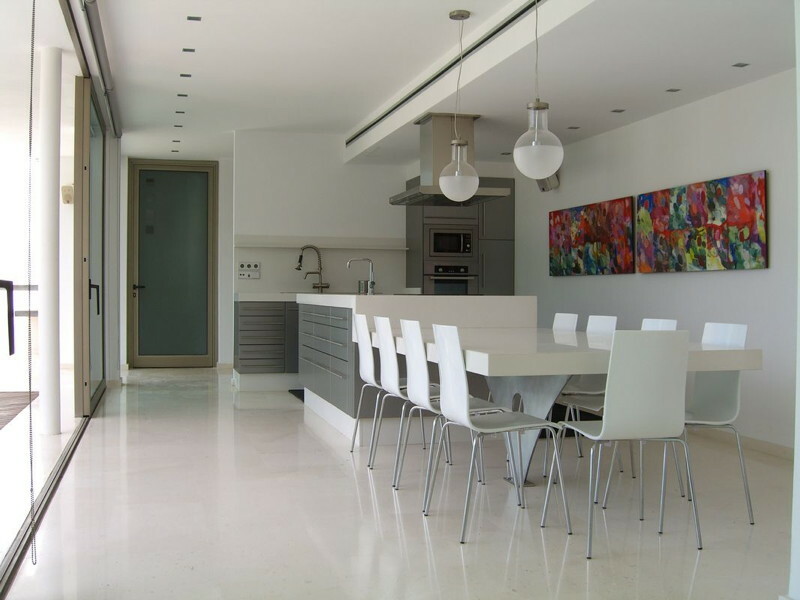 The contemporary feel continues inside the villa with a large open plan kitchen and dining room which has new stainless steel appliances and seating for up to nine guests. 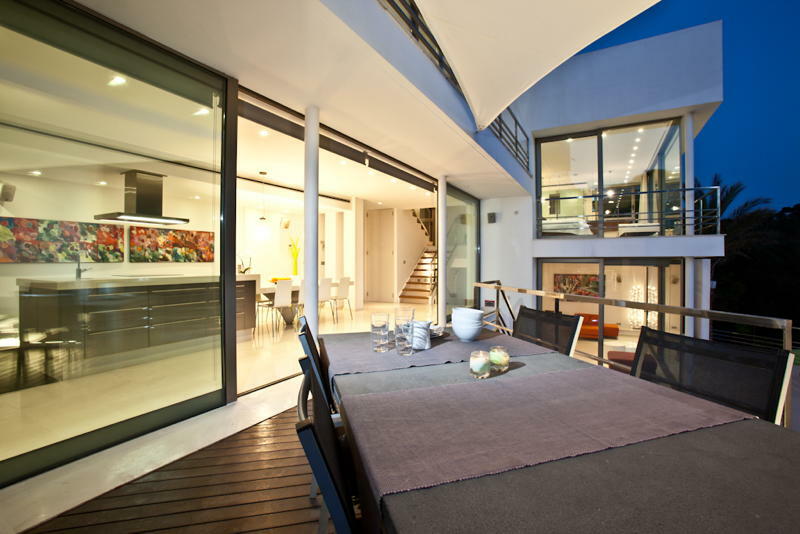 Large glass doors open from here to the dining terrace. 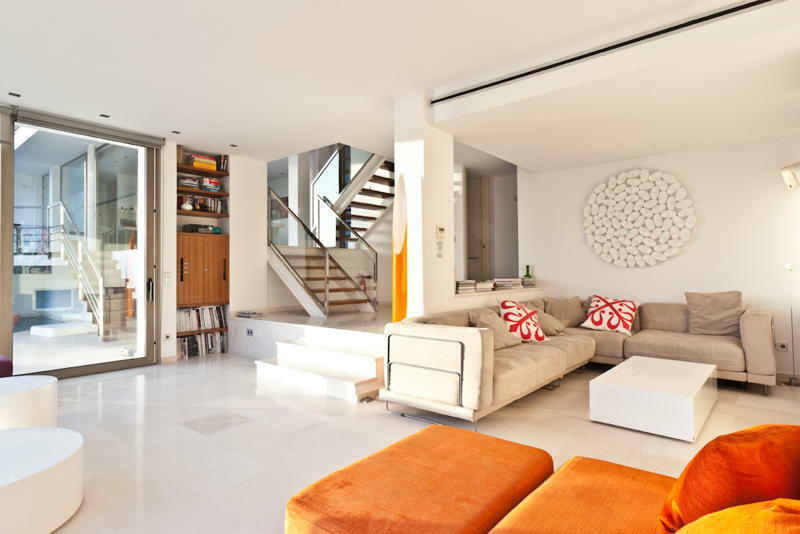 A couple of steps lead to the living room with comfortable sofas, fireplace and flat screen television with satellite channels. 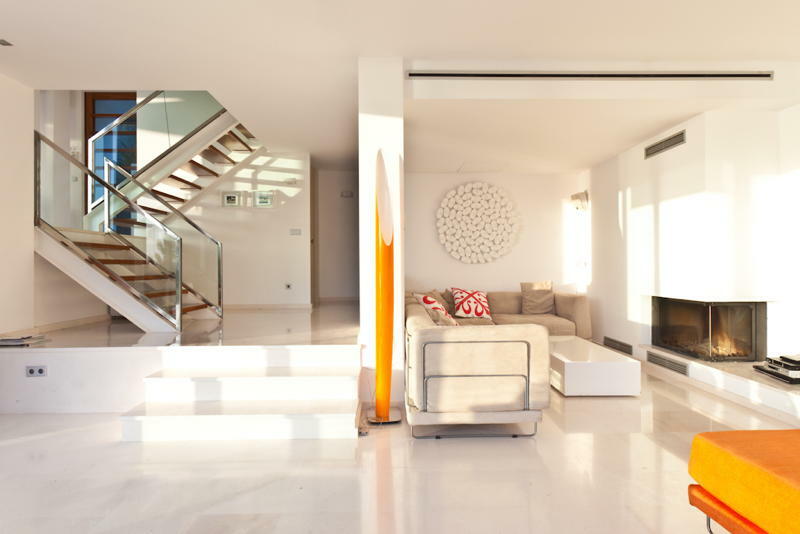 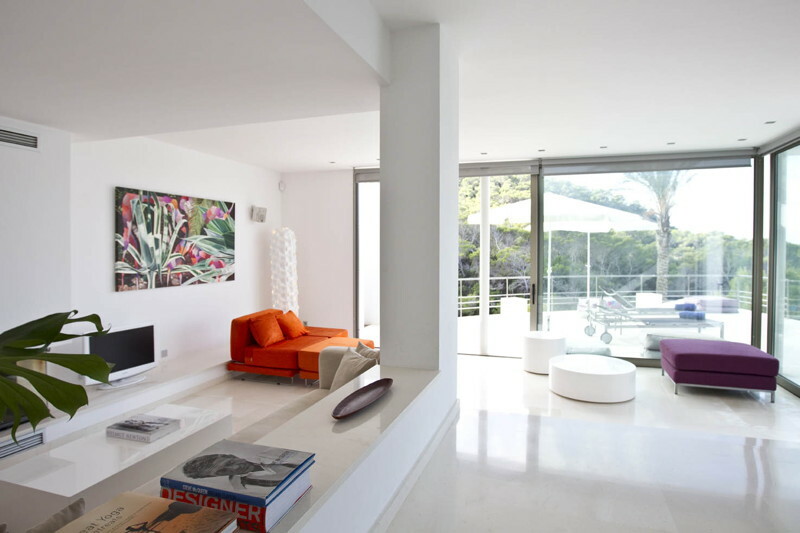 All of this level of the villa has large windows making it a very light and airy environment.